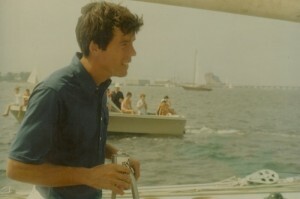 1964, at a cocktail party in New York City, he met a J.C. Penny executive who owned a 34′ yawl. Offshore Sailing School began that evening with a handshake and the entrepreneurial spirit of a young passionate sailor. Fast forward more than 50 years later, Steve is inducted into the National Sailing Hall of Fame for his incredible racing career and leadership in sailing education. City Island, NY where Long Island Sound meets New York City waterways. His early students included one of the Hammersteins and Bill Pinkney, the first African American to sail alone around all five Capes. The partnership broke up after a year and Steve, as sole owner, borrowed $6,000 from his mother and with great foresight, bought two brand new 27′ Solings for the school. The Norwegian-designed Soling had just won the International Three-man Keelboat Design competition. 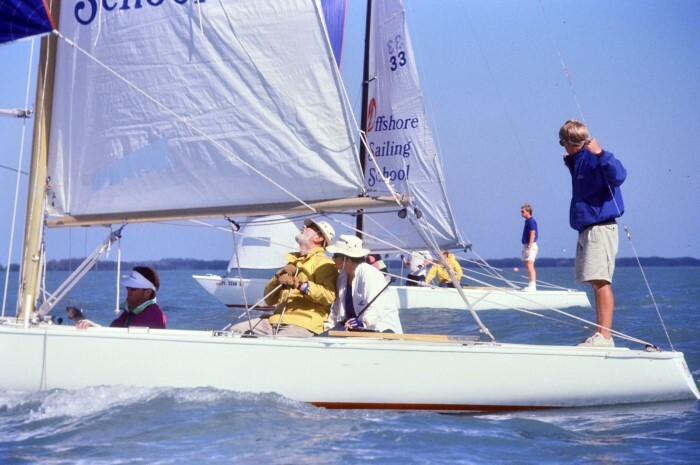 A fast, responsive and exciting boat to sail, the Soling became an Olympic class in 1968, and was used for Offshore Sailing School Learn to Sail, Performance Sailing and Racing courses until 1996. 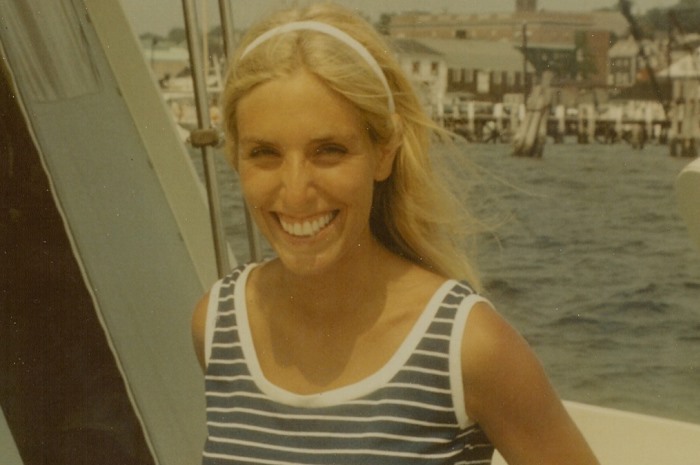 In 1967, a skinny blonde looking for a career change answered an ad in the New York Times. She had never been on a sailboat in her life but when she entered the doors of Yachting magazine’s headquarters she knew she was hooked. On the advice of her boss, Bob Bavier, who three years earlier had successfully defended the America’s Cup, she took the Learn to Sail course at Offshore Sailing School that July. Suddenly, new opportunities and new friendships started to blossom. She was invited to spend her weekends sailing. Meter sailboats in the America’s Cup trials (shown at right steering Heritage in those trials). From those humble beginnings, Offshore started to grow. 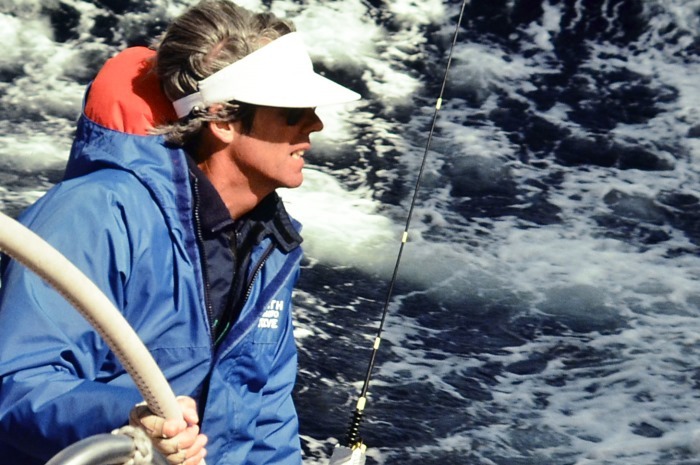 A then popular racing magazine, One-Design and Offshore Yachtsman (now Sailing World magazine), approached Steve to start a racing school in the Bahamas. That’s where Doris met Steve. 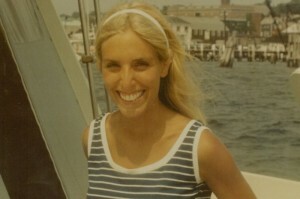 Thirsting for more sailing education, she enrolled in one of those Race Weeks in January 1968. The rough waters off Grand Bahama Island were a challenge, but the biggest and most exciting challenge lay ahead. getting the Soling fleet ready in the Bahamas. Doris was already helping Steve with his business on her lunch hours and joined Offshore full-time. 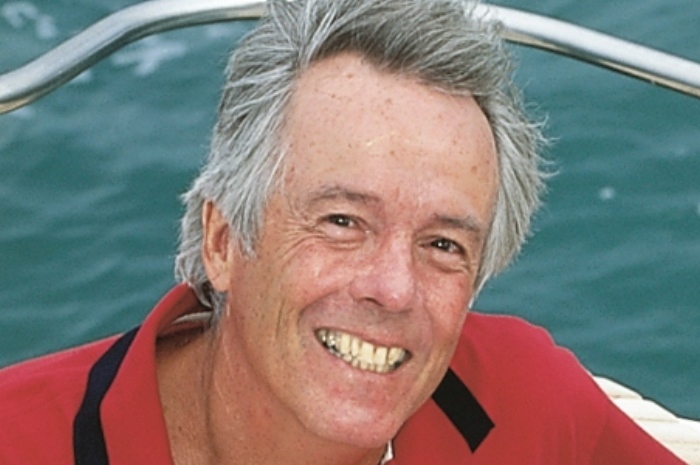 While writing books to complement his sailing instruction courses, and developing new and innovative ways to teach sailing, Steve continued racing in one-design national and international championships and on racing yachts at home and all over the world. 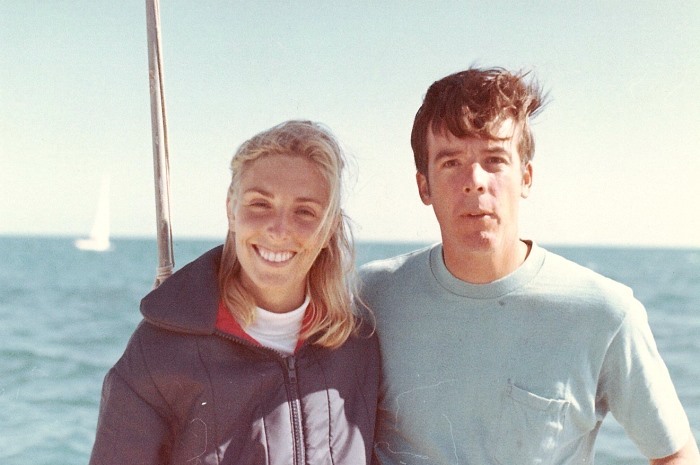 In 1973, a friend said to Doris, “Okay, you’ve taught all these people, what are you going to do to keep them sailing?” So, Doris and Steve organized and led flotilla cruises for Offshore Sailing School graduates in the world’s most beautiful sailing destinations. These were the first flotilla cruises offered by a U.S. company. Now Offshore Sailing School faculty lead these special graduate adventures, ranging from four to 10 sailboats and 20 to 60 participants at a time. In the picture to the right, the Colgates are with Offshore Cruising Club participants on a 1989 flotilla cruise in then Yugoslavia, sailing from Split to Dubrovnik and back. In 2008 the Colgates led their 10th cruise in Greece, then two back-to-back cruises in 2010 in the Grenadines, another in Belize in 2011. In 1978 the Colgates campaigned their 54′ ocean racer, Sleuth, in races all over the world, including the infamous 1979 Fastnet Race. When Steve moved on to maxis, Passage Making courses were taught aboard this exciting ocean racer. courses. That same year the Colgates opened a branch on Martha’s Vineyard, which lasted until John Baluchi’s fame took over the Vineyard and rooms ashore became scarce. 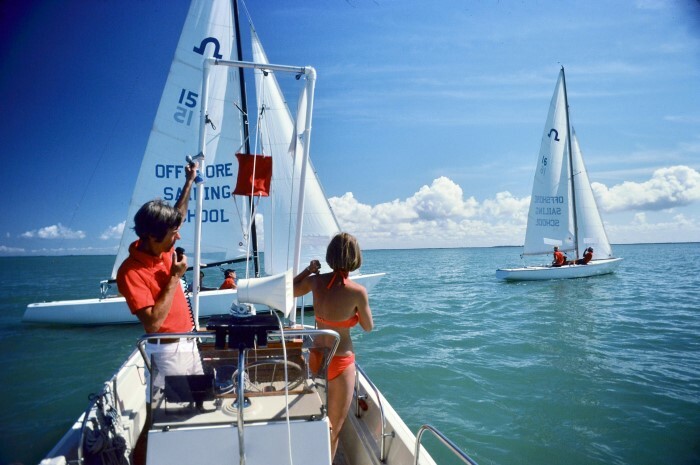 In 1973, Offshore Sailing School began teaching cruising courses with The Moorings in the British Virgin Islands; and moved its Bahamas location to Palmas del Mar, Puerto Rico. 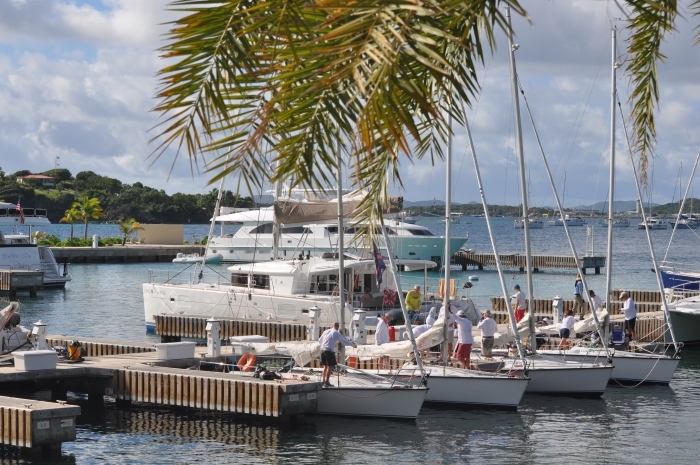 In 2013 a new Offshore Sailing School location opened in the British Virgin Islands at Scrub Island Resort. foot Ratsey & Lapthorn sail loft at water’s edge. During that period, the number of students taking courses per year rose to 3,000, Offshore started the a sailing club, and sailing course selections expanded. 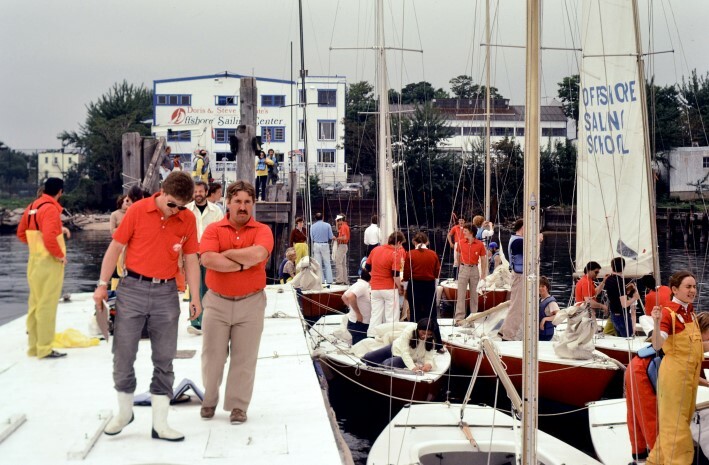 When the Colgates sold the sail loft in 1988, Offshore Sailing School’s New York metro branch moved to the old Colgate soap factory in Jersey City, NJ and then to three other locations in New York Harbor. That same year the Colgates moved Offshore’s headquarters to Ft. Myers, FL, where it remains today. When you call the toll free number, 888-454-7015 or 239-454-1700 you’re calling sunny Florida! 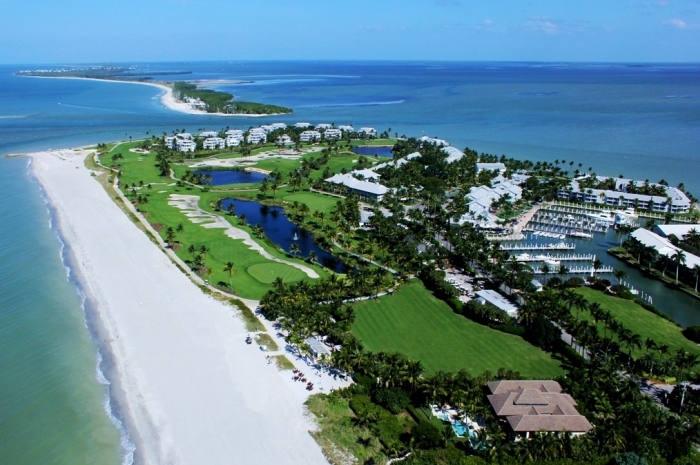 In 1975, while seeking a new location in Florida to replace the school’s Palmas del Mar, Puerto Rica base, the Colgates visited South Seas Island Resort (then called South Seas Planatation) on a tiny island in the Gulf of Mexico, called Captiva. 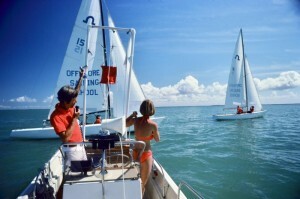 That location would soon become Offshore Sailing School’s most popular campus. When the recession hit in the early ‘80s, the Colgates saw great activity at their City Island, NY branch but the resort-based locations were less popular because of the cost of flying and driving to those locations. So, they took the Learn to Sail course on the road – with an RV (for instructor living and student classroom) towing a Soling to 25 sailing areas across the United States over a two year period. While it was pretty tough on the instructor, the course was very popular wherever we showed up. Perhaps the biggest and one of the most innovative changes came in 1996, when Steve gave up his search for a new training boat and decided to design exactly what he wanted. He connected with famed yacht designer Jim Taylor, and the Colgate 26 Sailboat became a reality. One year later, after an extensive search, the United States Naval Academy chose the Colgate 26 to replace its outdated fleet used for training midshipmen. 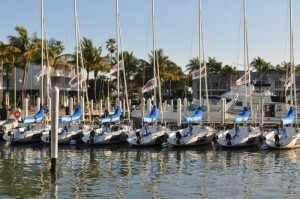 In the summer of 2001 the prestigious United Kingdom Sailing Academy added the Colgate 26 to its fleet of trainers, as did Club Nautique on the West Coast and Eckerd College in Florida. The United States Coast Guard Academy, Maine Maritime and a host of individuals, sailing schools and clubs have also been fleet owners. The U.S. 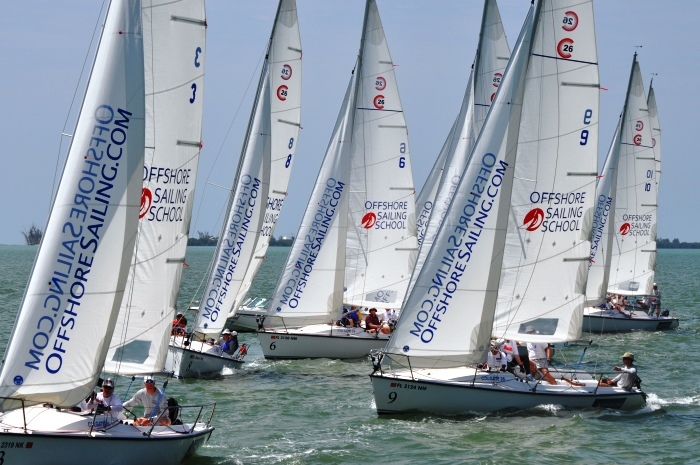 Naval Academy bought 12 more Colgate 26s for intercollegiate racing in December 2015. Throughout the years, new courses and programs are developed and longstanding courses are tweaked. 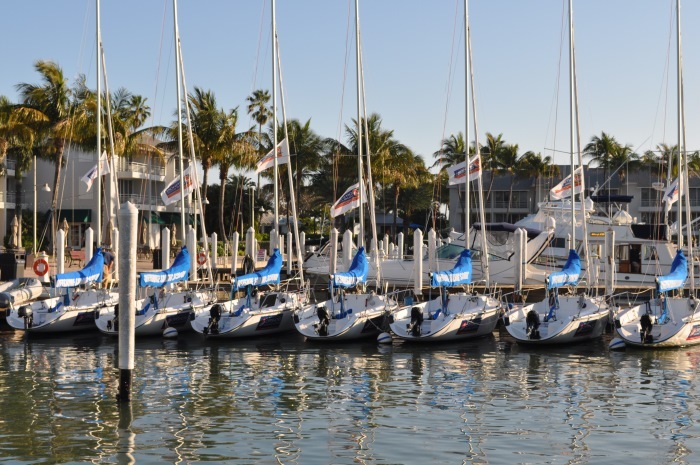 Since 2000, Offshore Sailing School has partnered with North U for Performance Race Week, held each April on Captiva Island, and generally sold-out by December. A new annual racing program in the British Virgin Islands was launched in December 2016. In 1974 an innovative course was born in answer to clients’ increasingly busy schedules. Now our most popular course, Fast Track to Cruising®, combines the experience of learning to sail with learning to cruise in an 8-day program that starts with two days on a Colgate 26 and immediately segues to 6 days on a state-of-the-art 43’ to 54’ monohull or catamaran. Offshore Sailing School uses the Colgate 26 exclusively for Learn to Sail, Performance Sailing and Racing courses. Our Learn to Cruise courses are offered on catamarans and monohulls including new Jeanneau 439s, CatalinaMorgan 440s, a Leopard 48 catamaran at stateside locations, and on specially designed charter boats provided by longtime partner, The Moorings in the British Virgin Islands. Over the years many other Offshore Sailing School locations have been tested, including Bar Harbor, ME; Irvington, VA; Hilton Head Island, SC; and Newport, RI. We have even conducted navigation courses on 100’ schooners. Year-round resort destinations are the company’s focus in the most popular getaway in Florida, the British Virgin Islands, and other U.S. and world-wide locations. More than 140,000 adult graduates and their families have developed new skills and confidence with Offshore Sailing School since 1964. The Colgates are so pleased to know that those whose lives they’ve touched with exceptional sailing education are now pursuing their dreams.